Yes, it may be July but the Christmas countdown has begin…think of this post as your 5 month warning! It may seem a bit off kilter to be checking out what we will be wearing at all the Christmas do’s you will be attending and what you are hoping to get in your stocking whilst it’s a balmy 21 degrees outside. But once we stepped inside House of Fraser’s winter wonderland, we couldn’t wait till the big day the jolly fat man will be coming down our chimney, hopefully with a plethora of House of Fraser‘s finest. Click this way and prepare to feel friskily festive, fillies! 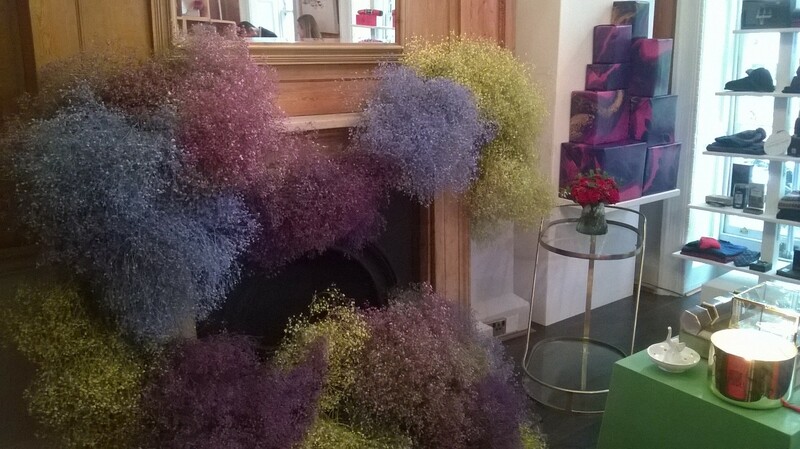 The window declared “It’s Coming!” and we couldn’t argue as we crossed the threshold from sunny Soho Square into the ice white festivities of House of Fraser’s Christmas in July event. 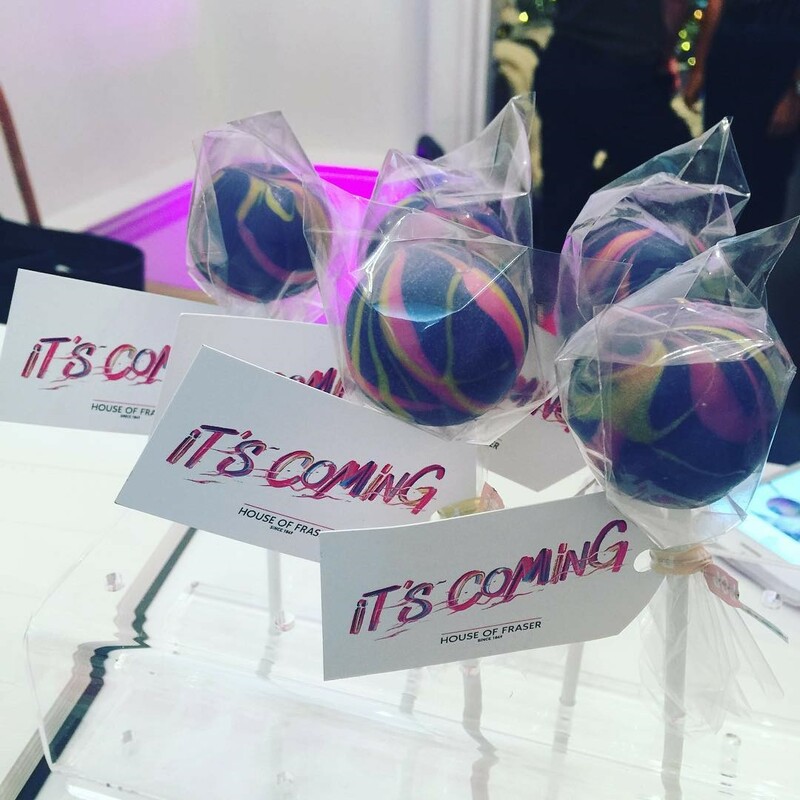 After signing in and collecting a cake pop that Willy Wonka would be envious of, we ascended the sweeping staircase to discover what marvels that will be in-store this Christmas 2016. 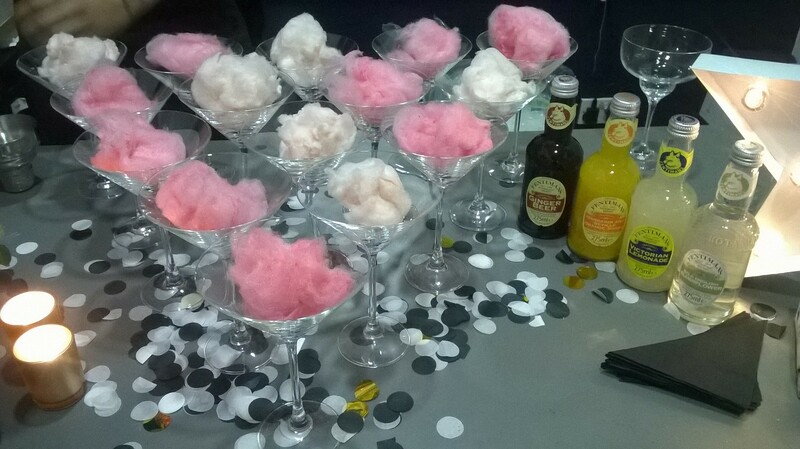 At the top of the stairs we had our first hard decision…Candy Floss or Elderflower & Apple Martini? We decided to go for one of each and watched as the magic happened before our eyes by our uber skilled bar-tender. 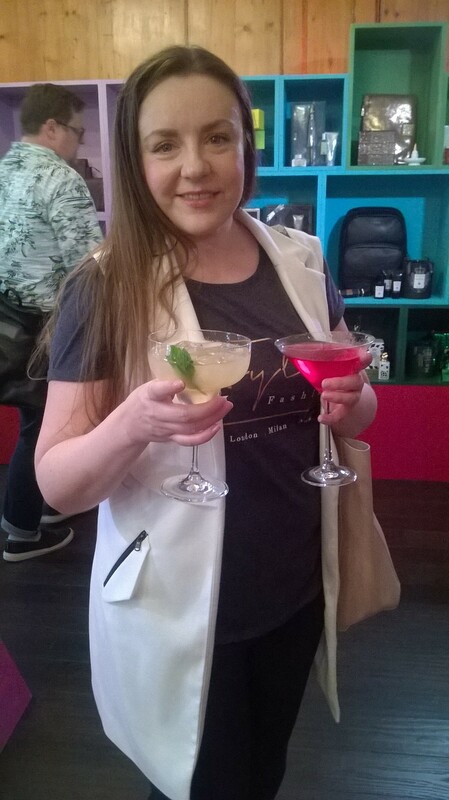 Drink in hand, we may have quenched our thirst, but our taste for fashion, lifestyle, beauty and gifts galore was insatiable! Onwards, to gift land! 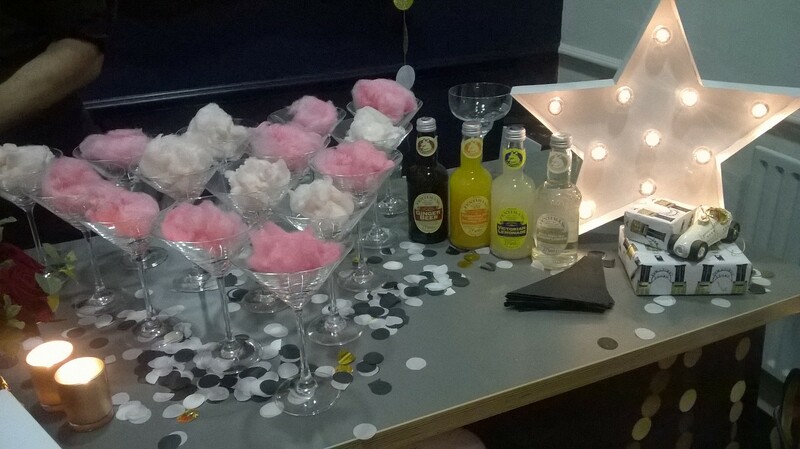 All the Candy Floss cocktails please! Nicky keeps balanced with a cocktail in each hand! 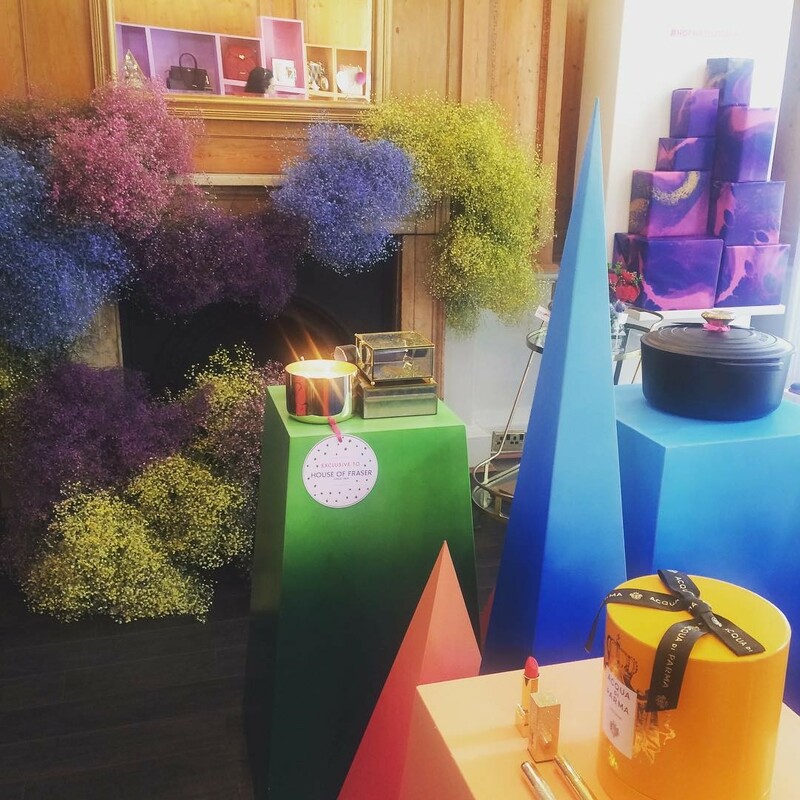 Draw in by the luxurious scent of gorgeous candles glimmering and flickering, the gift showcase room was a veritable treasure trove of trinkets, sumptuous sets and covetable bags galore. 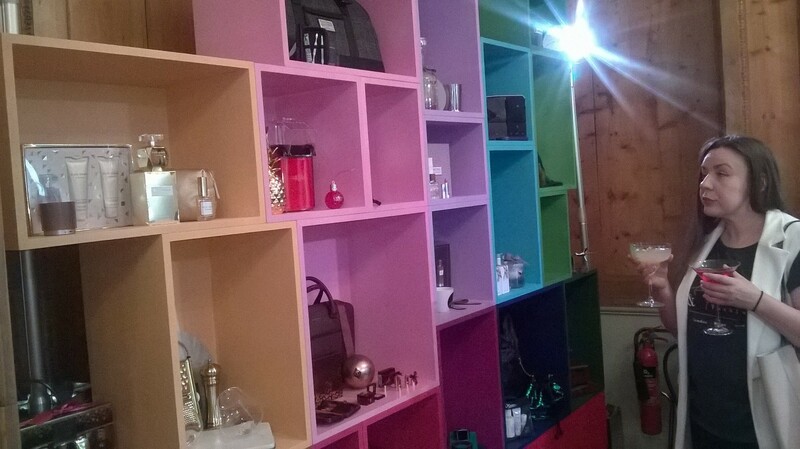 Shelved in a cavalcade of coloured nooks, the offering has something for everyone this Christmas that will make them feel loved and that extra bit adored! There was literally something for everyone special in your life…and for that extra special person, YOU, too! Yup, it might be very hard to give away some of these beauties as you may just want to treat yourself. Many of these bad boi’s that are exclusive to House of Fraser, so if you after something that not everyone will be posting about on Insta come Christmas morning, this has to be the first port of call! 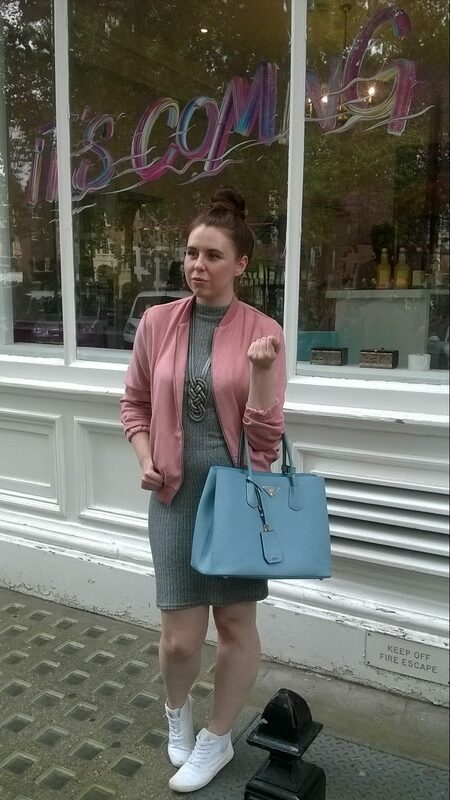 So what are we lusting over here at FDJ LDN HQ? Our top picks are below…it was hella hard to narrow it down to JUST these fillies! 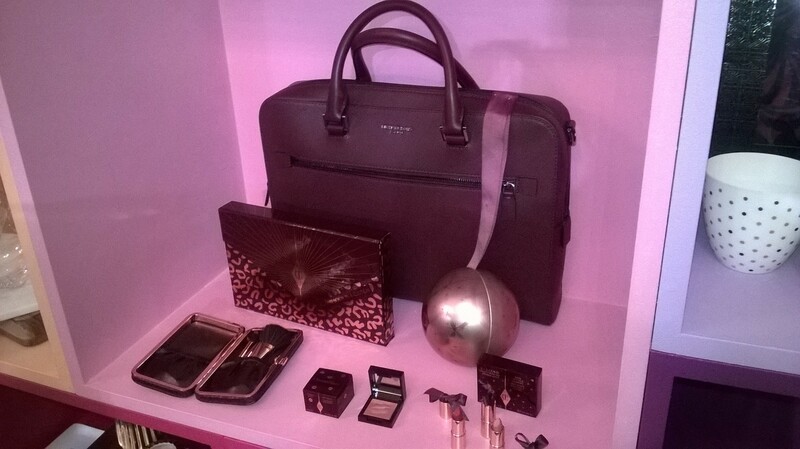 Lush Charlotte Tilbury Make-up Sets are on our radar…as is that Michael Kors Laptop bag! 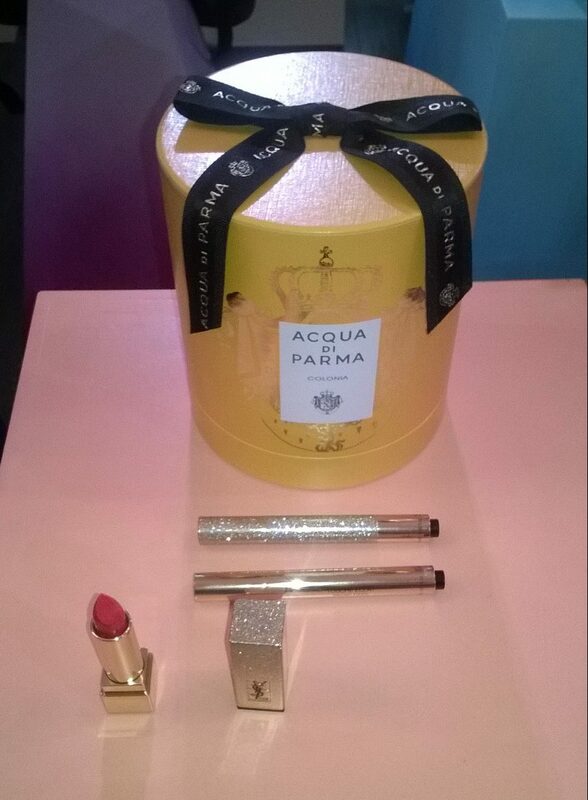 Erm…who doesn’t want a diamante encrusted lipstick or Touche Eclat this Xmas? 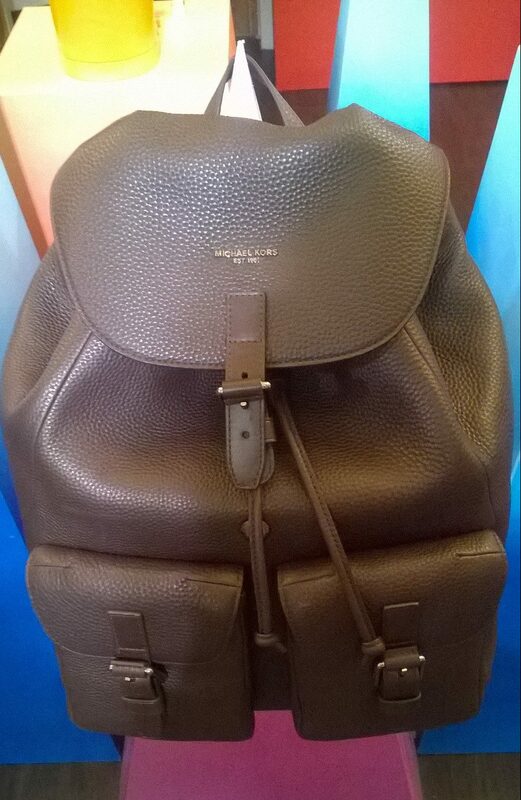 We want to chuck all our stuff in this uber backpack by Michael Kors and go on an adventure…STAT! 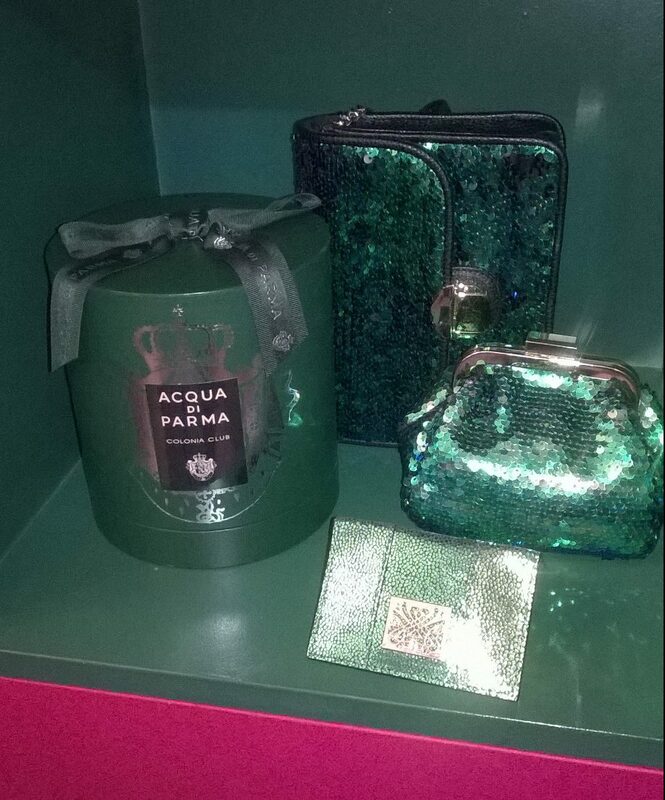 Green with envy over who may get these Acqua Di Palma and Biba beauties! We heart this mer-mazing Biba clutch! And those Laura Mercier goodies will stop our fins getting scaly! 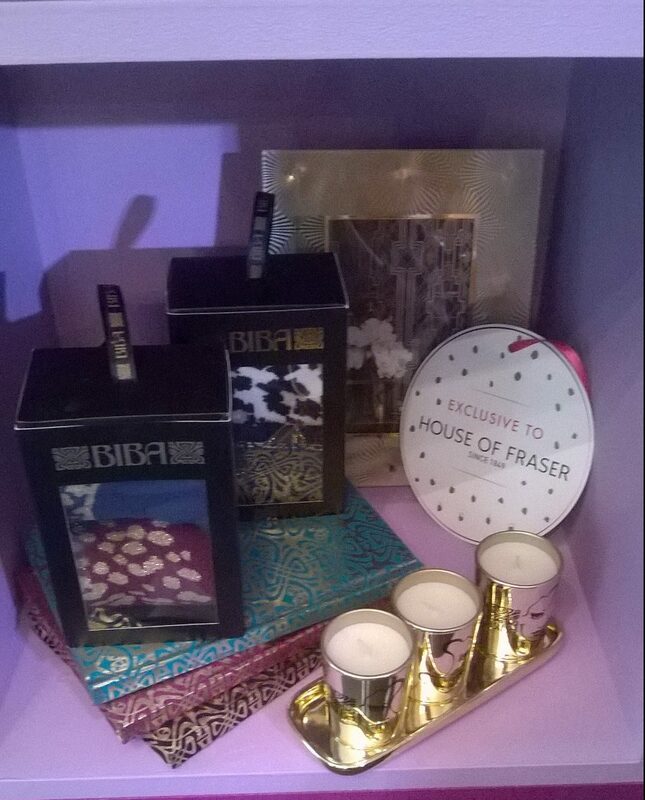 Biba is nailing it with gifts that will please all – from socks to notepads to cute candle sets! Sequins AND fluff – SOLD!!! 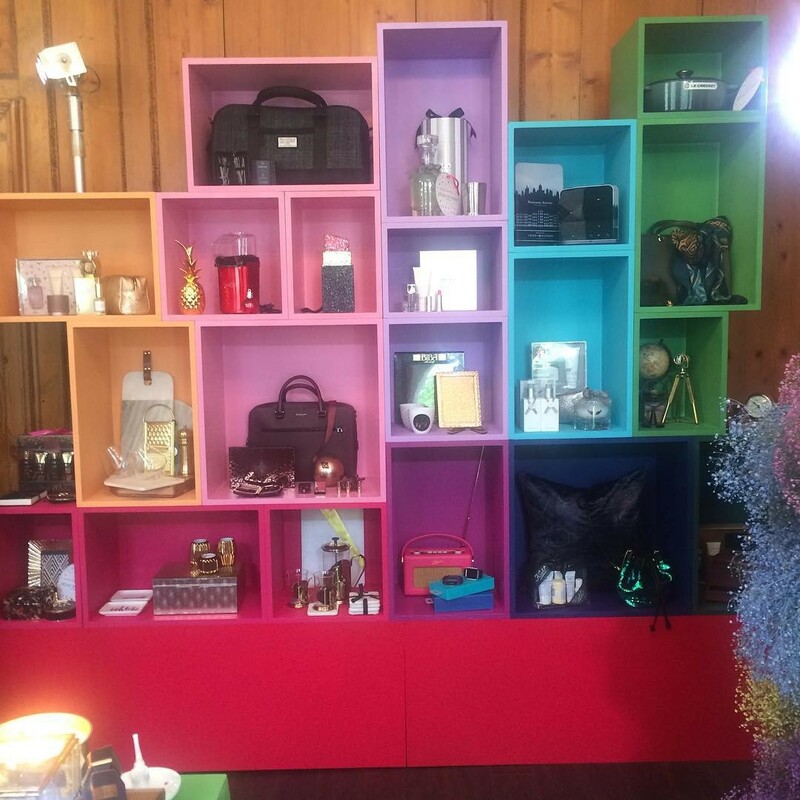 From decedent candle, bath, body and makeup sets to luxurious homeware goodies by way of statement clutches and handbags – we were truly spoilt for choice, oohing and ahhing our way around the room, holding up gorgeousness after loveliness for each other. So with our gift-list 2016 sorted, we were pondering what would we be shimmying across the dancefloor this festive season? 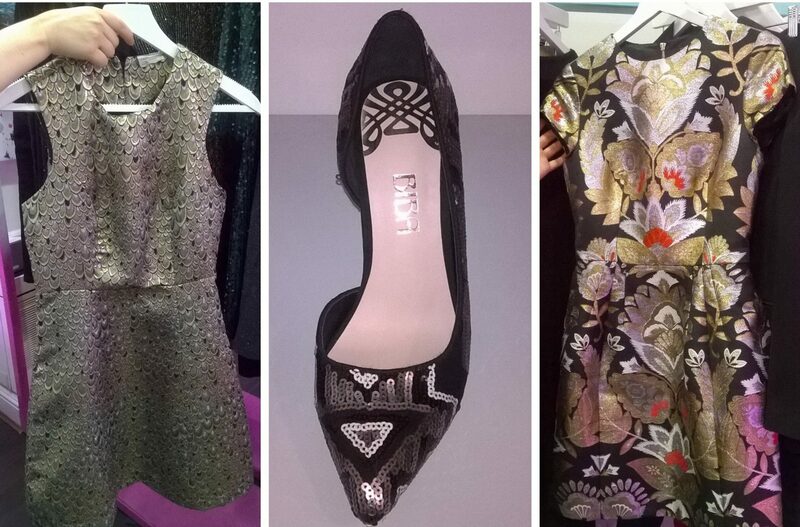 It was time to head over to the fashion room and continue our collective chorus of exhalations of excitement! Greeted by rails of velvet, lace, silk, beading and sequins, in those classic Christmas shades of red, green, gold and silver, we plan on sparkling this festive season in style. From show-stopping gowns to the ultimate in trophy jackets, you WILL be the main event at any do this 2016 with these garms in your wardrobe! 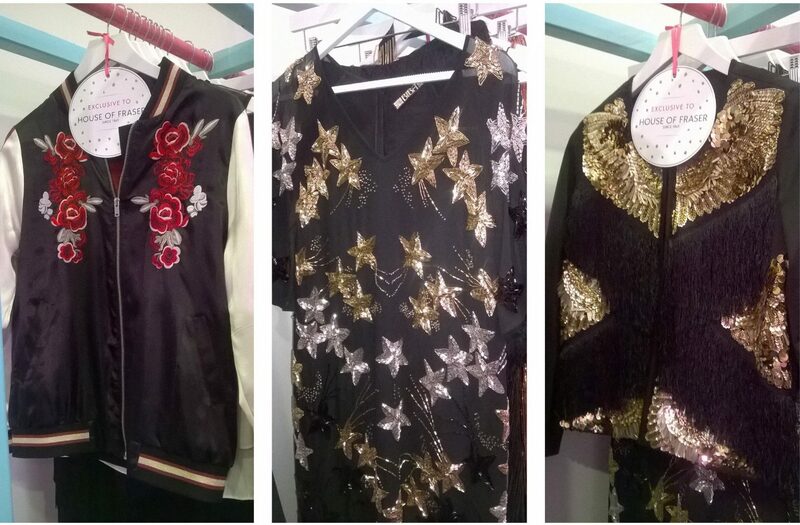 From embellished silk bombers by way of a star festooned dress to a truly terrific trophy jacket – your wardrobe is crying out for these goodies this AW16! 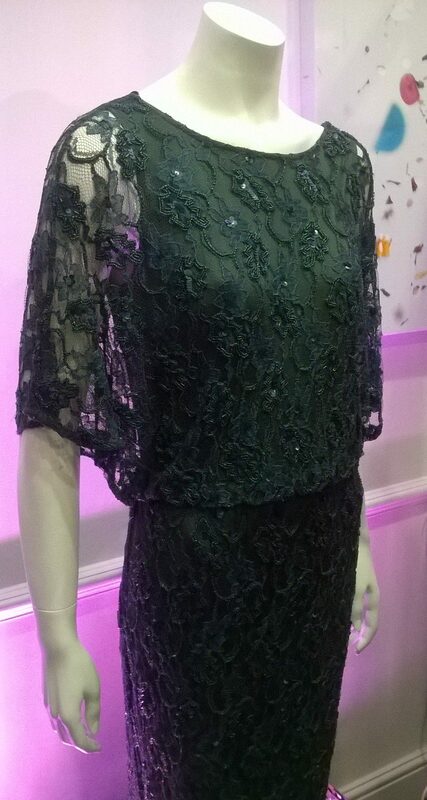 Gotta love a Gothic lace bell sleeve belter! 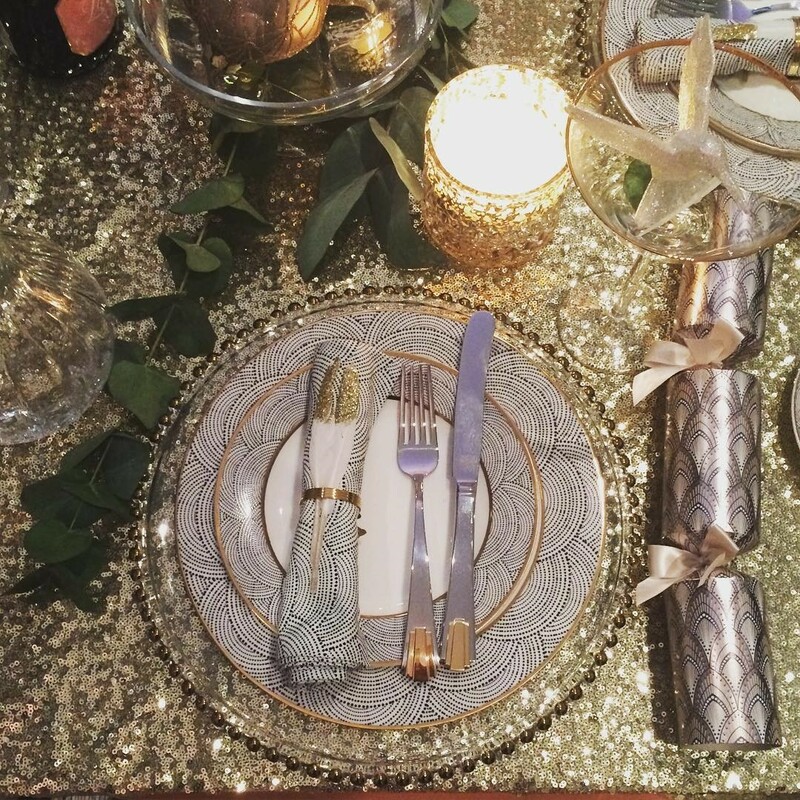 Shimmer, shine and sequin – our Christmas mantra 2016! Gifts? Sorted! Party frock? Nailed! 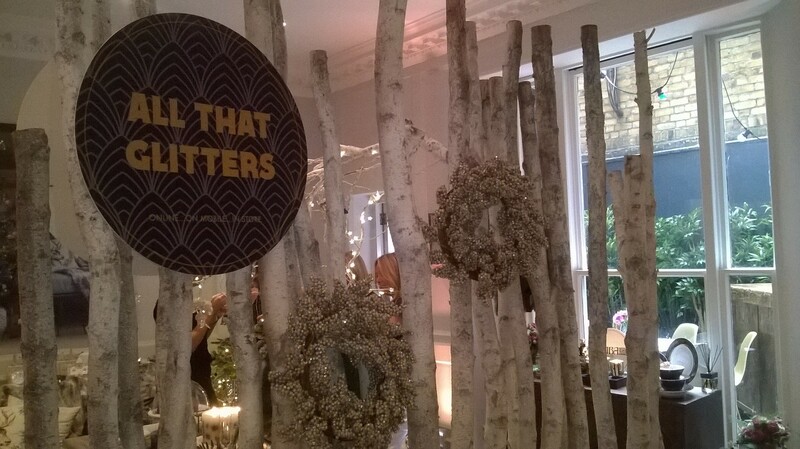 It was time to descend to find out how we would be decorating our home, Christmas 2016 style! 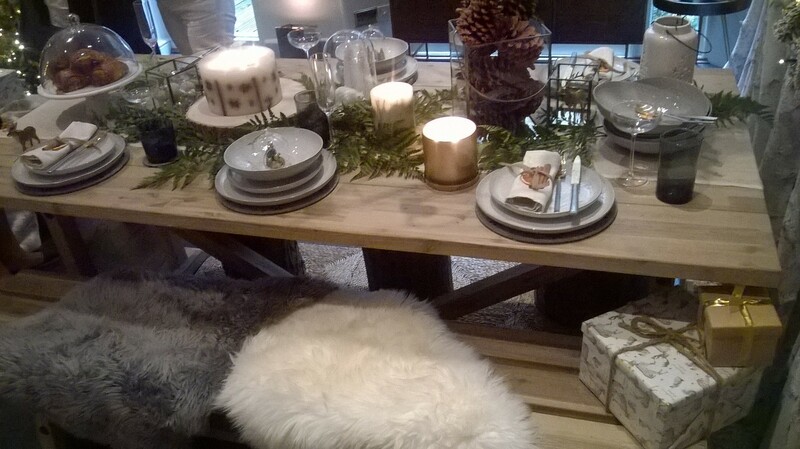 A distinctly “Alpine Glamour” feel met us downstairs with a luxe mix of faux fur, glitter and a healthy dose of festive cheer and kitsch. 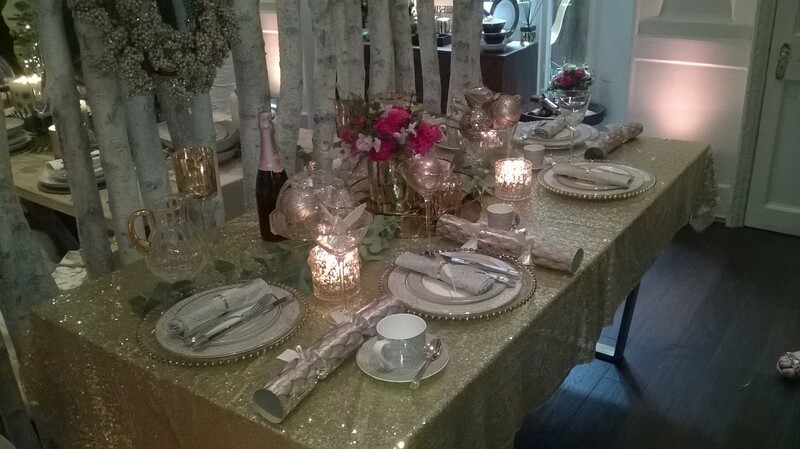 Your days will be merry and bright with plenty of white, gold and silver. 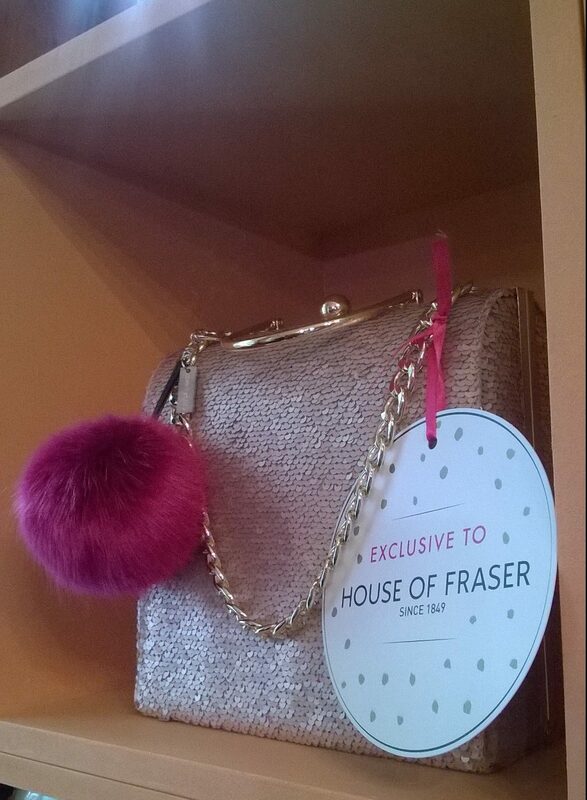 All that glitters resides at House of Fraser this winter! 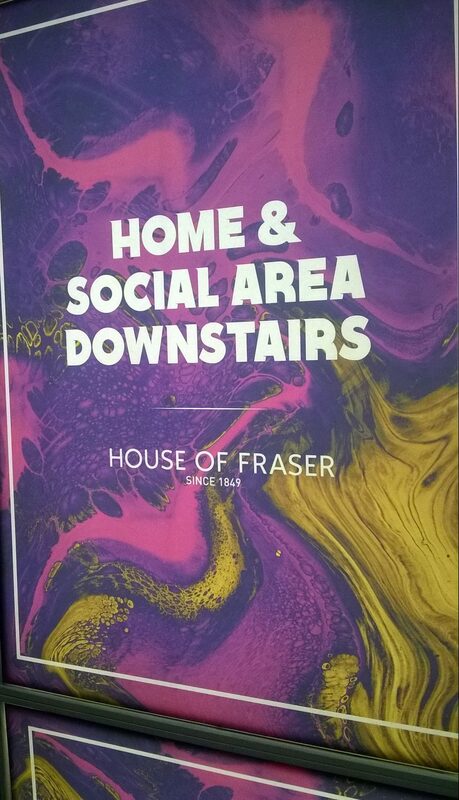 After all that overload of awesome we were in desperate need to refresh and refocus, so we headed straight to the pop-up House of Fraser cafe. 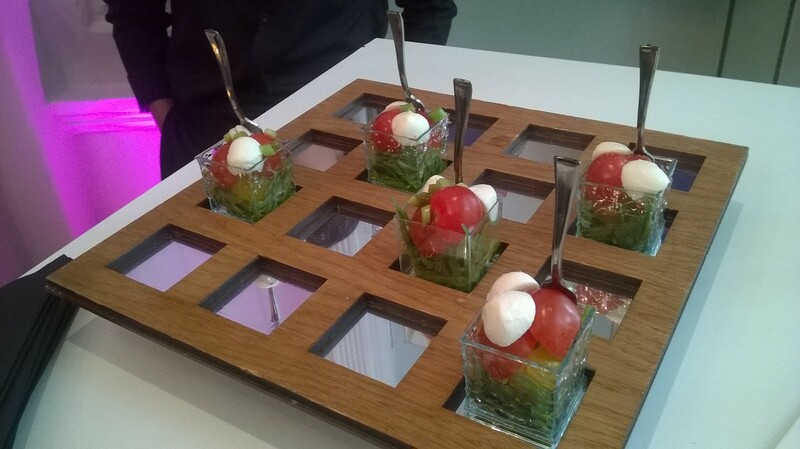 We were greeted by the yummiest canapes and a Ice Cream Parlour where the freshest ice cream was made before our very eyes as if by magic. Hello yumminess! Leigh chose Caramel & Sea Salt ice cream whilst Nicky opted for Peanut Butter & Nutella! 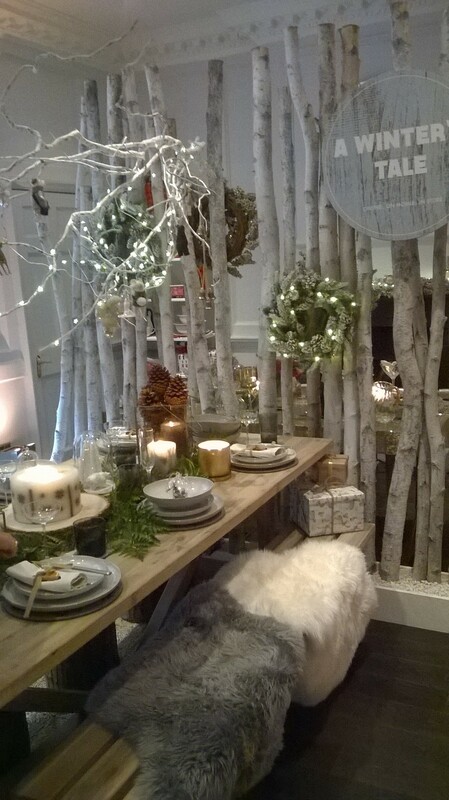 As we emerged back into the Soho sunshine, one thing was clear – Christmas is truly going to sparkle and stand out this year at House of Fraser…and we can’t wait to head in-store when all these goodies hit in the lead up to the big day! 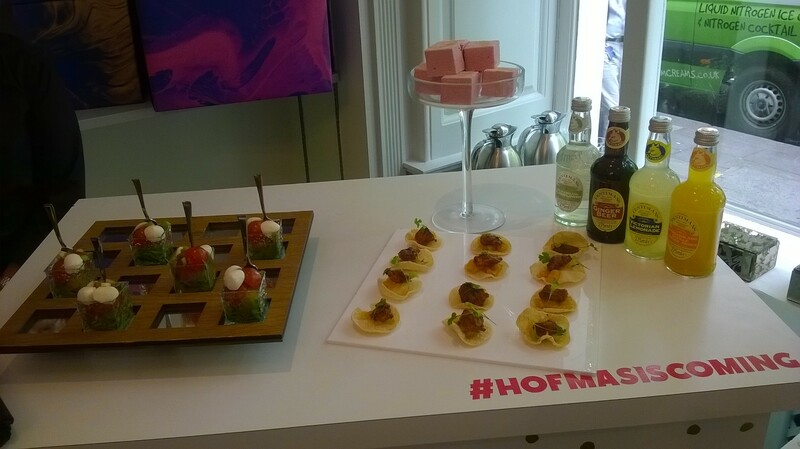 Thank you for having us House of Fraser – #HofFmasIsComing for sure! If all this talk of Christmas has got you in the mood, why not visit all our “Tis the season…” posts by clicking here! P.S. You want the lastest FDJ LDN posts delivered straight to your Inbox? It’s so simple! Just click on that “Subscribe” button in the top right of the page! You can also follow us on Bloglovin’. Loving that social media fillies? Head over to our Twitter, Instagramand Facebook! Hehehe indeed Agata – next year’s events will be upon us before we know it! ooh it looks and sounds like a fabulous mid-christmas event. 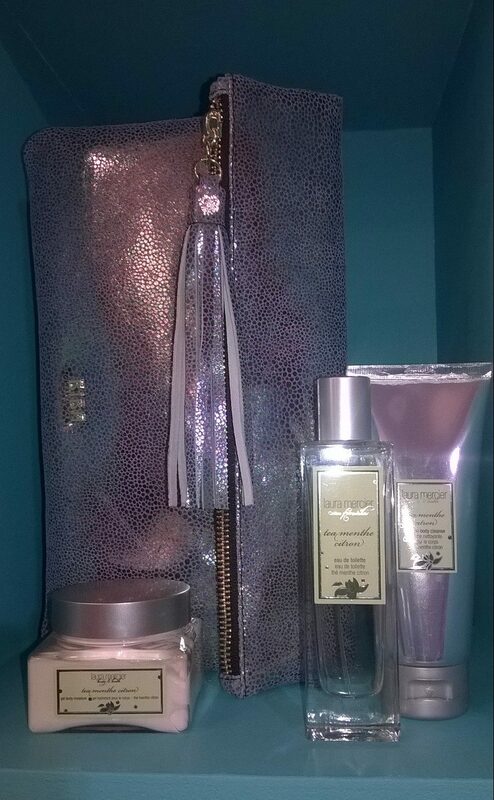 The products look great and so too do the christmas items especially the candles. they look fabulous. It was a fab way to spend a Thursday Angela! They look fab…and they smelt amazing!!! Omg looks amazing! Those candles would be great on our Christmas table! Certainly would Phill!!! Such a centre piece. 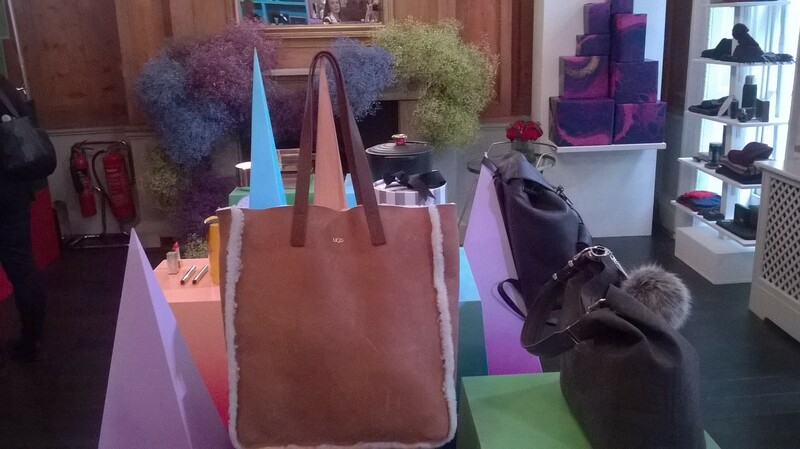 Apparently so, giving us plenty of time to get our lists in order 😉 Yes…I WANT that bag! 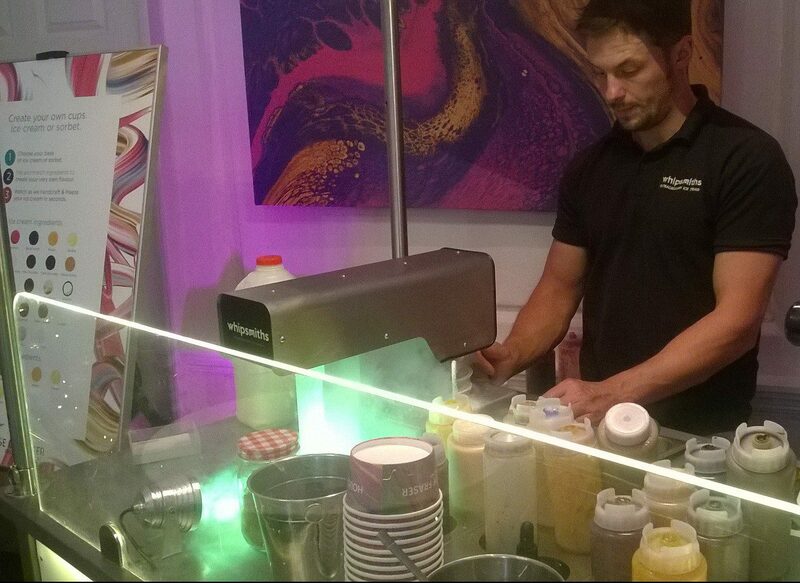 I know Jess, but alas it’s creeping closer 😀 The ice cream was seriously the best thing…I want one of these in my house! It’s a keeper right? Certainly hoping Santa will be bringing this! Thanks lovely! Looks like great fun! I don’t think there were any christmas in July events where I am but I wish there was now! How come I didn’t hear anything about this event! I missed out but looks and sounds like it was loads of fun. 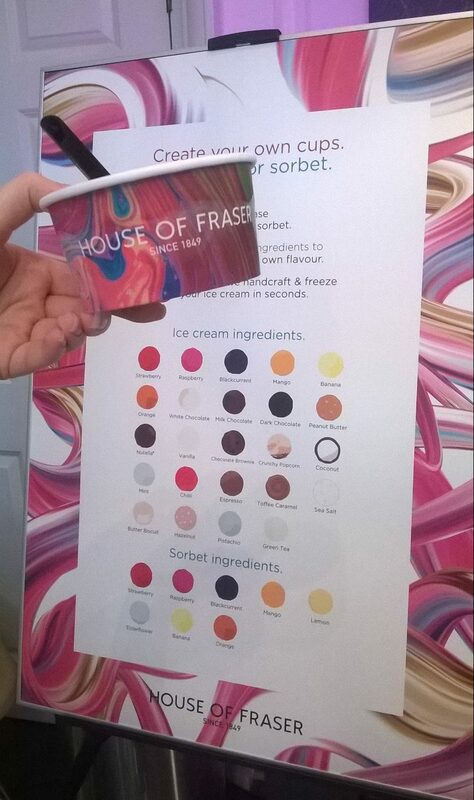 The House of Fraser Christmas in July event looked epic, I would have loved to have attended but sadly I was not invited lol. The cake pops look great. It was Ana, you would have loved it I’m sure!!! Here’s to the next one. I’ve pretty much missed all the Christmas in July events this year, I was on holiday and then I’ve been ill. The House of Fraser one is always gorgeous. Oh no!BUT being on holiday is a wonderful way to miss the events 😀 It was utterly magical – this is our first Christmas in July and we are enjoying it! Those look like lovely gifts. I’m feeling festive already. It looks like a fun event and everything was so sparkly pretty, though I’m not prepared yet to think about Christmas. It was such a wonderland Carina 😀 Felt like a big kid again! 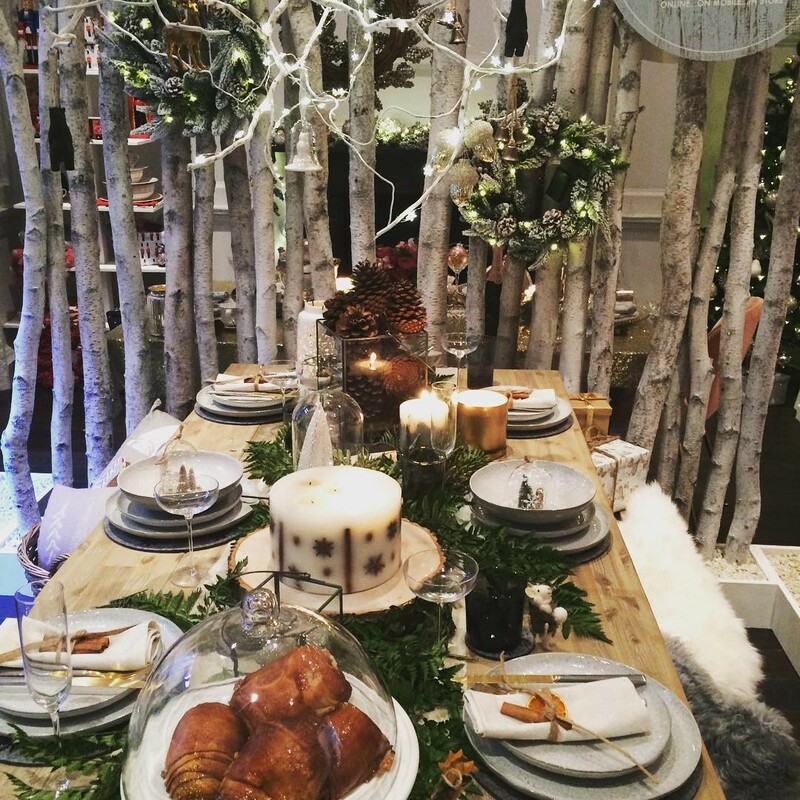 Love the tablescaping so much, some brilliant ideas for getting in the festive mood. Hehehe Olivia! They are pretty cosmic cake pops right??? 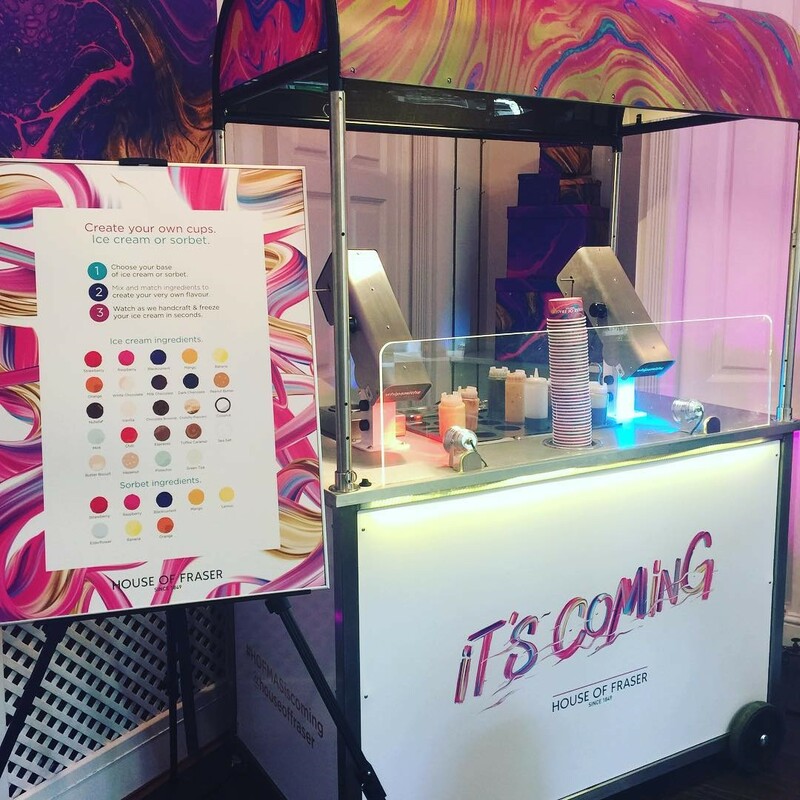 It was a riot of colour pop – freaking LOVED it! Me too! So it was nice to peruse their offering and I was so impressed. I was meant to go to this but couldn’t make it in the end. I can’t wait for Christmas!! Oh no what a shame – it was a good one indeedy! I know – it really got me in the mood. So excited! I am so excited for christmas this year. I love that the shops have now started stocking things!